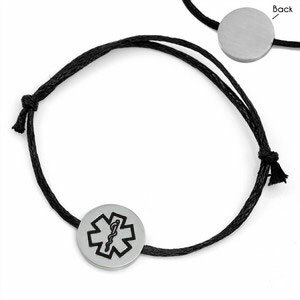 Tighten this unique medical alert bracelet by tugging black the cotton strands. Round plaque is made from 316L surgical grade stainless steel. The back has space for custom medical details to be engraved.